Caroline Starr Rose spent her childhood in the deserts of Saudi Arabia and New Mexico, camping at the Red Sea in one and eating red chile in the other. As a girl she danced ballet, raced through books, composed poetry on an ancient typewriter, and put on magic shows in a homemade cape. She’s taught both social studies and English in New Mexico, Florida, Virginia, and Louisiana. 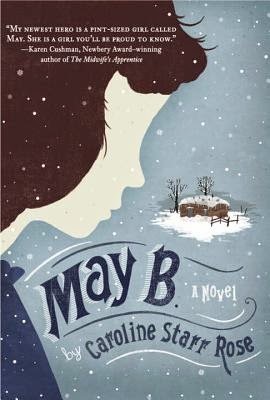 Caroline’s the author of the ALA Notable book, May B. (2012), Over in the Wetlands, (2015), and Blue Birds (2015). Learn more about Caroline on her website. 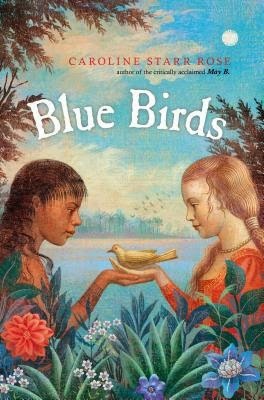 It was an amazing journey with May B.I truly delighted in this quick historical novel-in-verse.It was reminiscent of the Little House books and Hattie Big Sky,however a quicker read.In the classroom,pitch it as historical fiction as well as an extraordinary survival story.Thank you.